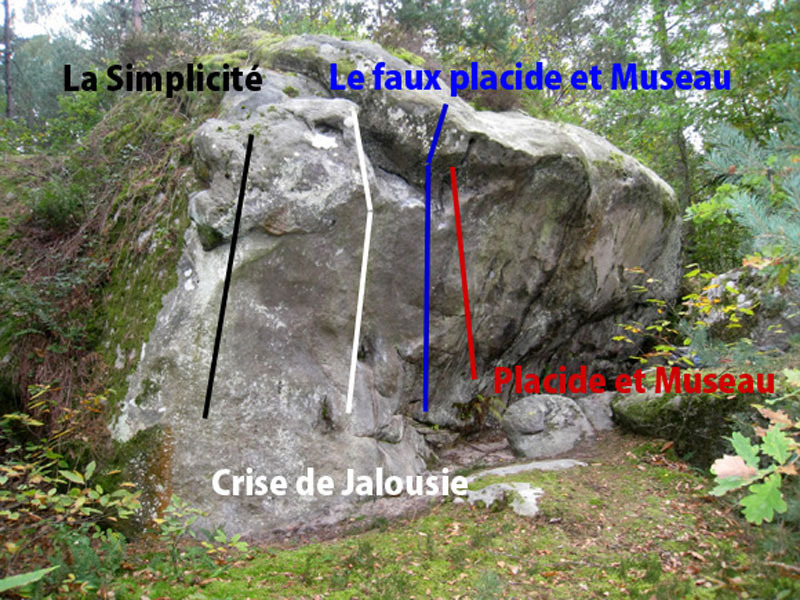 Just left of Plagiat, on the boulder of Goldfinger, in the middle of the slope. Start with the pinch right hand and exit in the overhang. Mossy (October 2008).